The book on Lync development that George Durzi and I wrote over the past 9 months or so is finally available! 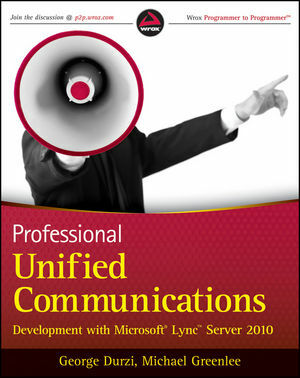 It covers the Lync client APIs, UCMA 3.0 Core, and UCMA 3.0 Workflow. As more and more people use these Lync’s extensibility platform, we hope it will be useful as an overview of the core concepts and a guide for common development scenarios.